I’m not a big fan of pre-sales…but this one was just too good to ignore. 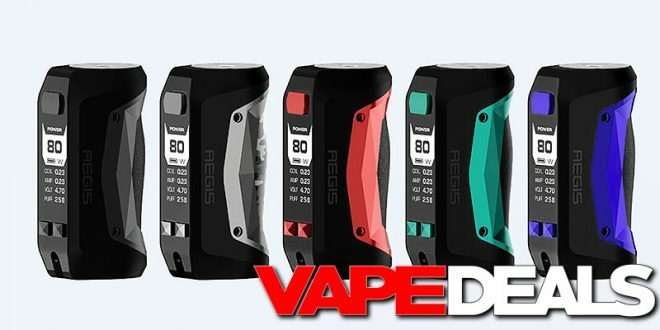 If you’ve had your eye on the new Geekvape Aegis Mini Box Mod, check out this deal from Efun. The pre-order price is $45, but you’ll get an automatic $19 discount when you log into your account. That works out to just $25.99 total! Killer deal in my book. You could even pick up the RDA Starter Kit (includes Drop Solo) for $34.39, or the Tank Kit (includes Cerberus Tank) for $35.99. That’s a serious upgrade for only $8-$10 more. Just keep in mind that these won’t be in stock until October 25 at the earliest (see below).